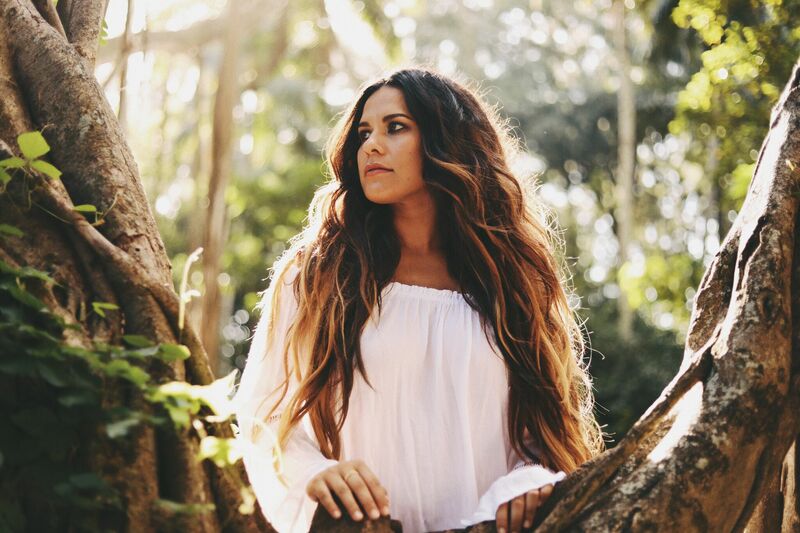 Hawaiian Songstress KIMIE MINER Discusses Her Upcoming Album and A Lot More! Get to know the Hawaiian sensation and singer-songwriter Kimie Miner! Kimié (pronounced Kim-mi-Yay) Miner manages to create an inimitable musical style that dresses the listener in a flowing mu’umu’u on a cool beach, easily mistaken for paradise. Growing up on an island surrounded by the ocean was a formative experience for Kimié, and an experience that can be distinctly heard through her work. 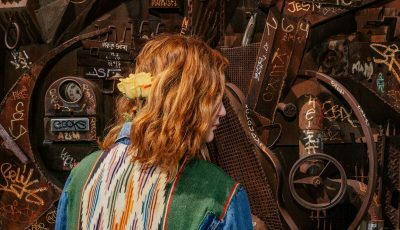 Her melodies embody a loose, down-to-earth feel, and her lyrics create a universal imagery that transcends ethnicity, gender, age, and musical genre. Her new single “Bamboo” draws inspiration from her experience with love and creating healthy relationships. “I live on the North Shore of O’ahu so I do a lot of driving. Inspired by the beauty on the east side of O’ahu, I like to write new songs. One day while driving I started singing this hook ‘bam bam booooo’ and I couldnʻt get it out of my head.” After participating in the first Creative Lab Hawai’i Immersive Music Program she had the opportunity to work in Los Angeles with music supervisors and songwriters. During a co-write with Jesse Epstein and Isaac Moreno she shared her hook idea of ‘bam bam boo’ and a song was born. 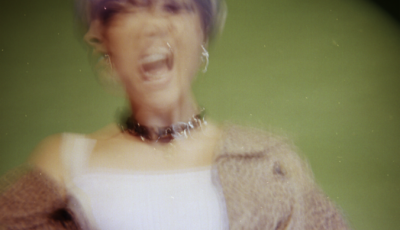 Kimié’s parents, who are of Hawaiian and Portuguese decent, noticed her affinity for music at a very young age, and at 14-years-old she taught herself to play guitar and began writing her own original songs. She found inspiration in a wide range of music from Hawaiian, Jazz and R&B-influenced individuals such as Israel Kamakawiwo’ole, India.Arie, Lauryn Hill, and Eva Cassidy. While an undergraduate at University of San Diego, Kimié embarked on her first west coast American tour at age 19 with reggae star Barrington Levy. Following the tour Miner resided in Clarendon, Jamaica for a few months to write and work with Levy in the studio. 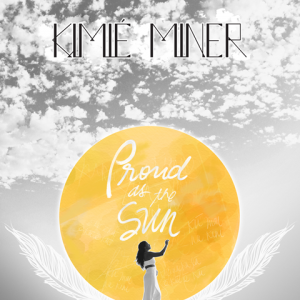 Kimié released her first EP, To The Sea in 2013 after a successful Kickstarter campaign. The seven track album included radio singles, “Is This Love”, “Shame on You”, “Rooted”, and “Make Me Say” featuring Hawaiian musician and former schoolmate Imua Garza which had much radio success and reached #1 on KCCN-FM’s Top 40 Songs of 2013. In 2015, Kimié wrote and co-produced her full-length album, Kimié Miner. 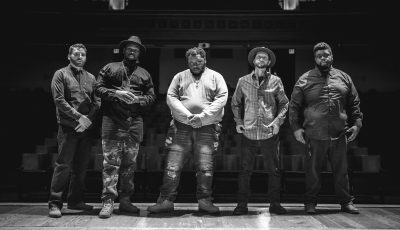 The album also includes collaborations with Caleb Keolanui from The Green and L.A. reggae band Detour Posse, and went on to win “Contemporary Album of the Year” at the Nā Hōkū Hanohano Awards in 2016. Continuing to make a splash, she was featured on Brian Mcknight’s 2016 album, “Better” on track 8 entitled, “Goodbye”. Outside of just her own music, Kimié contines to be a hardworking businesswoman with her own company titled Haku Collective. Haku is a full-service music, audio, and talent production group providing access to the creative output from Hawai‘i’s emerging and leading artists and helping them to segue into other mainstream genres. Kimié’s goal is simple and pure – to live her life passionately and inspire others in the process. Thanks for your time today! How has 2017 treated you? Musically, how did you approach this year differently then you did last year? I really just followed my heart on everything I did this year. I curated my new album based on my own personal journey, from the music to the visuals (Iʻm releasing a lyric video for every song) and photos that went with it. This year was about coming into my own as a strong woman and being comfortable in my own skin. My new music reflects on the beauty found in femininity and becoming a mother. Iʻm currently on the North Shore of Oʻahu. Israel Kamakawiwoʻole or better known as Braddah Iz is playing “White Sandy Beach” over the hotel lounge speakers. I can see the surf coming up through the large glass windows that wrap around us. Winter season has officially begun for us! I always loved to sing. My earliest memories are signing along to the radio with my dad in his Bronco as we watched the waves before he paddled out for a surf. I always like to ask artists about where they came from and how that city or town has influenced them as an artist now. So how do you think growing up in Hawaii has affected who you are as a musician and the art that you create? Growing up in paradise definitely influenced my style of music and the themes found in my songwriting. I draw on nature A LOT. lol. As a Hawaiian woman, I have a deep love for my roots but also my routes. I take the knowledge of who I am with me as I navigate and explore the rest of the world. My music reflects that. What was the inspiration for your single “Bamboo”? How is it different or similar to the rest of your new album “Proud as the Sun”? Bamboo is about self love. In order to love someone else you must first set your own roots and know who you are, so that you can grow stronger together. Side by side with those you love. This album is about hope, endurance, strength, and a connection to my true self. I also want to encourage young women to have a positive self image of their true authentic selves. How do you think your music has grown and really developed over the years? What has remained the same about your style? Iʻm greatly influenced by my island upbringing and Hawaiian culture so that remains the same in my music no matter how the themes may change. There is a vein that runs through my new album – the theme of air, a bird’s eye view of everything, the idea of a new and broader perspective, growth, becoming more independent. My previous albums were themed around water (journeying, traveling) and land (reconnecting with my home). What is it like running your own company, Haku Collective, and handling our own music career? What kinds of artists does your company represent and work with now? Are you constantly looking for new musicians to sign? Iʻve been running my own record label, publishing company, and entertainment company as a recording artist now since 2011. It is definitely not easy but I really enjoy what I do. I also love to mentor young, aspiring artists and have been doing it through non-profits for years. But more that just mentor, I wanted to provide new opportunities for up and these artists. So starting my own company, Haku Collective was a natural next step for me. Haku is a full-service music, audio, and talent production group providing access to the creative output from Hawai‘i’s emerging and leading artists, producers, composers, and musicians. We work with artists who are reaching across genres and driving the evolution of Hawaiian music and Hawaiian sound today. Of course it will. Both the positive and negative parts of this world are felt and expressed through music. But music heals us. I create music for myself first. If others are able to relate to my music it is an added bonus. But I would still create my music even if no one listened to it. Music is my greatest joy because it is a pathway to connect with others and ourselves. Stevie Wonder. India Arie. Allen Stone. Jason Mraz. Damien Marley. Erykah Badu. These are some of my faves ever. I hope they take away gratitude and joy for life. Be authentic. Be who you really are. Sing, dance, and do the things that you would do if no one was watching. Then find your team! One who gets who you really are. Besides my new album, I have some really cute merchandise that I designed with my team on my website. Check it out! An Interview With Nashville-Based Musician CANYON CITY All About His Recent Album ‘Constellation’ and More! An Interview With the Arizona-based Singer-Songwriter, RYAN SIMS!